The above photographs were taken on 1 April 2004. 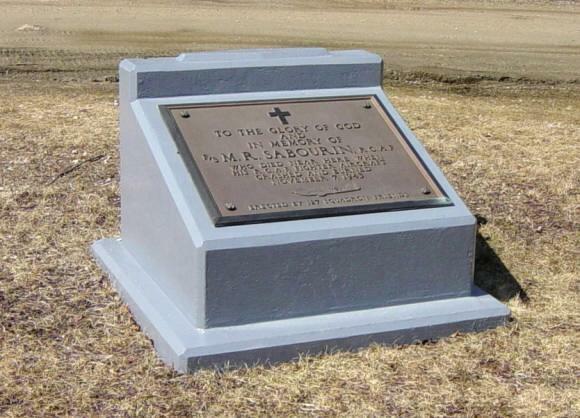 This memorial plaque was dedicated on 4 December 1988. 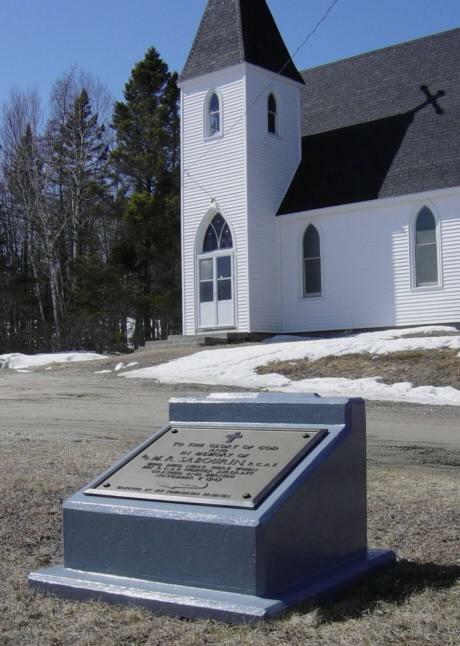 Memorial in front of the church: In Memory Of F/S M.R. 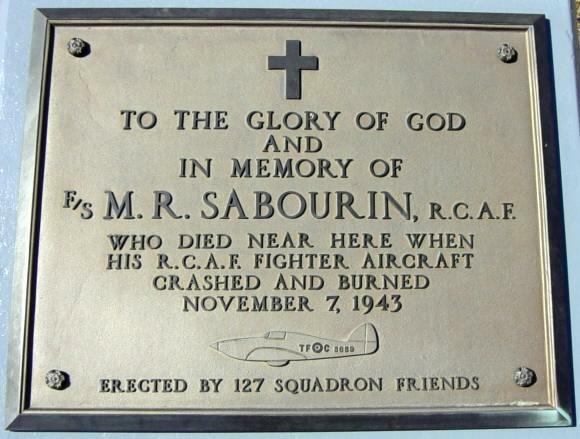 Sabourin R.C.A.F.